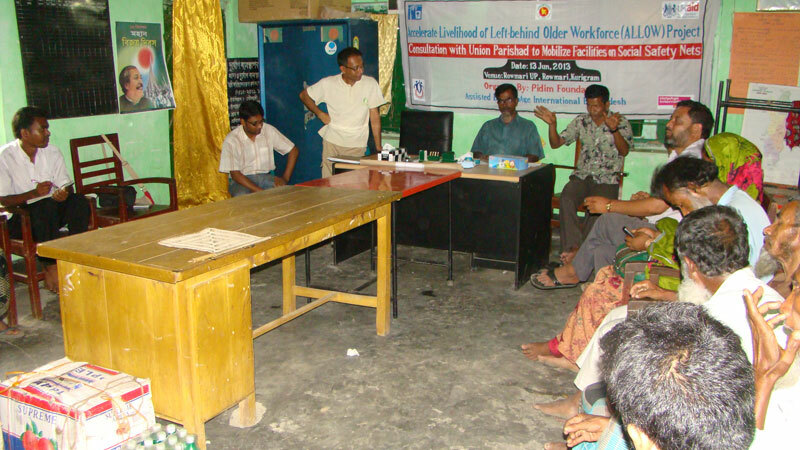 A consortium of three NGOs- HAI (HelpAge International, Bangladesh), Pidim Foundation and BITA (Bangladesh Institute of Theater Arts) launched the project in October 2011 with GOB & UKAID fund, channelized through Shiree. Two Upazilas viz. 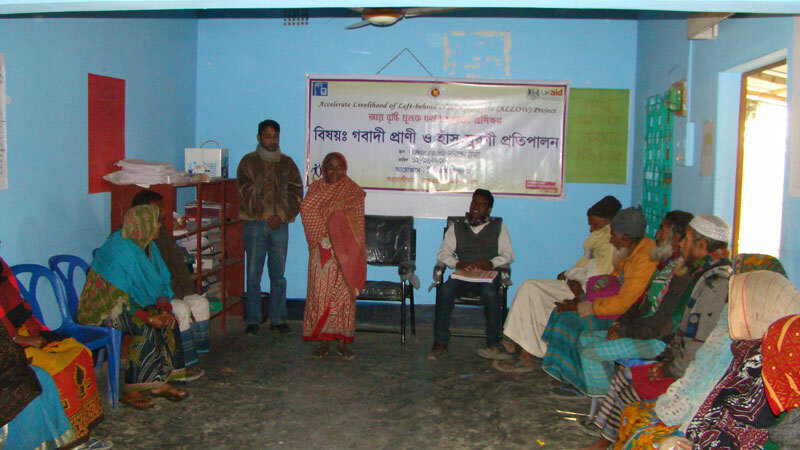 Roumari of Kurigram district and Ramgoti of Laxmipur district were selected for implementation of the project. 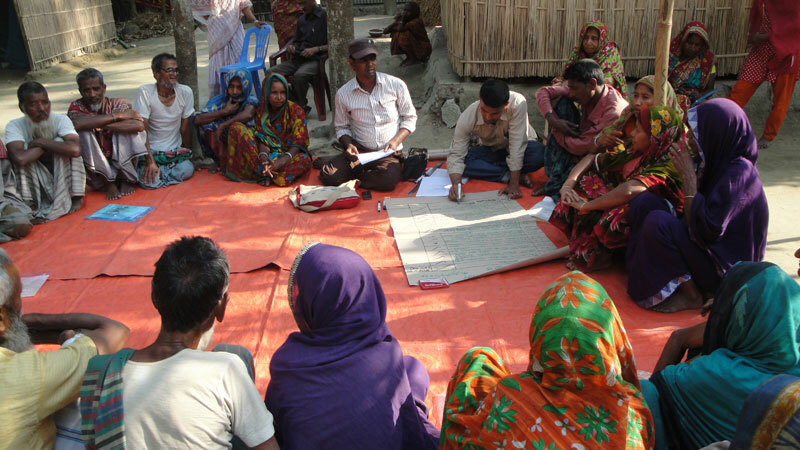 Whereas Pidim Foundation was selected for Roumari and BITA for Ramgoti, HAI being the lead organization singed contract with Shiree and continued to play intermediary roles like channelization of project fund, performing other supportive roles like project coordination, monitoring of activities carried out by its partner-NGOs etc. 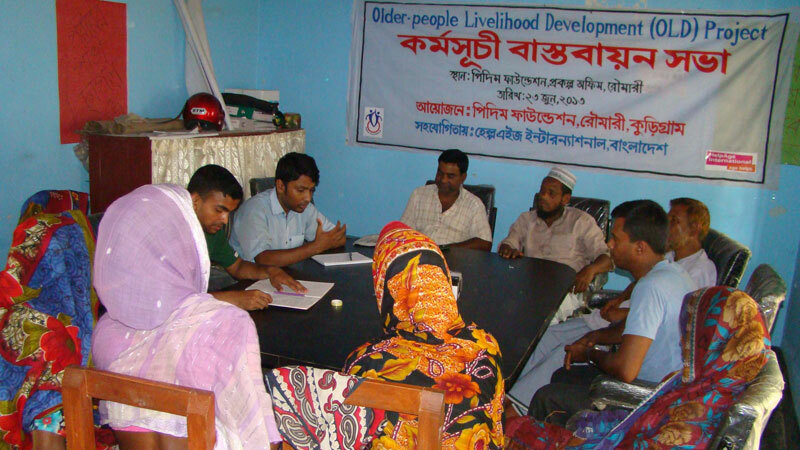 The activities of ALLOW revolved around development of livelihood of extremely poor older people belonging to families affected by migration of the principal earning members to distant places. 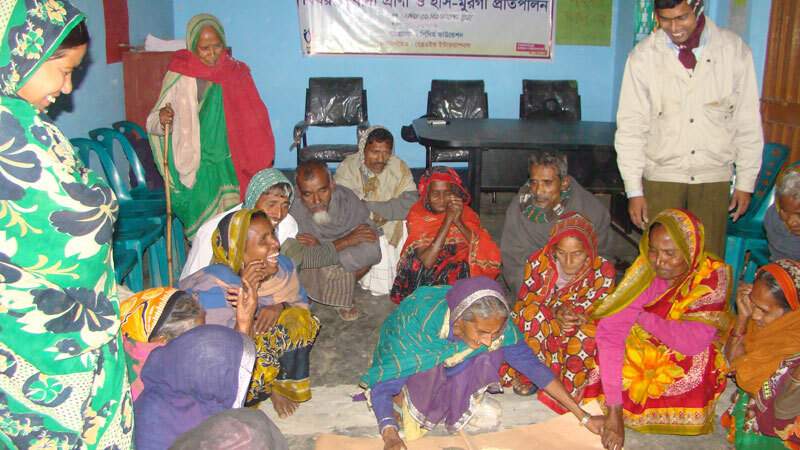 They were selected from among landless households having no cultivable land and their per-day per-capita income was no more than BDT 28. 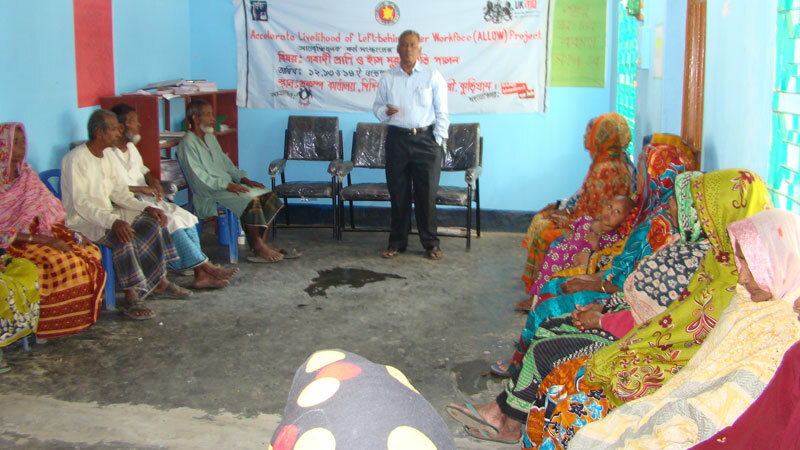 In total 500 older people including both men and women are being supported under the project. They were given cash grant of BDT 15,000.00 each for undertaking IGA (Income Generating Activities) of their own choice. The most favored IGA was cow rearing. 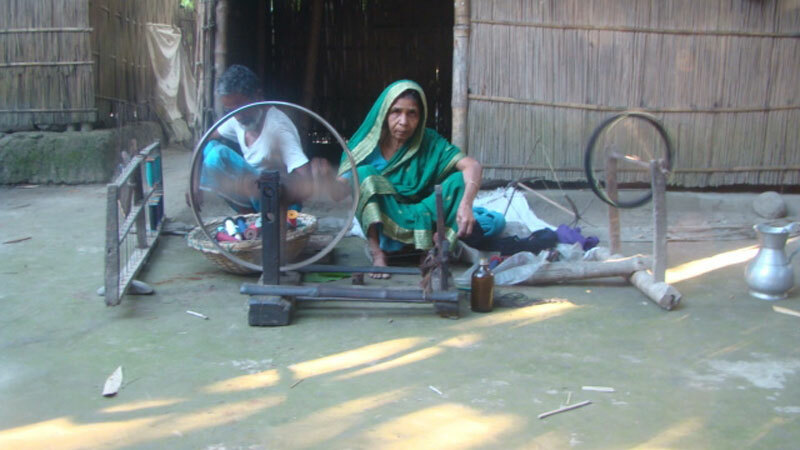 The other activities carried out with grant money are sheep rearing, running small business, bamboo work etc. Acquiring livestock alone was not good enough to make profit and sustain IGA. The area is remotely located and prone to seasonal floods, which contribute to high rate of animal mortality. So, the project arranged series of training in animal husbandry coupled with livestock vaccination against most common but dreadful diseases like Foot and Mouth disease, Anthrax, Black quarter etc. All these efforts eventually started to bear fruits. A large number of the beneficiaries could increase their stock through breeding and earn money by selling milk produced by the livestock.